Greetings, Black Friday through Cyber Monday Shoppers! 1.) Etsy shopper, or would you like to be? To celebrate Black Friday/Small Business Saturday/Cyber Monday, my shop is offering FREE SHIPPING on orders of $10 or more (domestic only) for the whole weekend. Simply enter Coupon Code SLEIGHRIDE when you check out. I’ll get the reindeer ready; enjoy shopping! 2.) Local? Loving life in the Lowcountry? 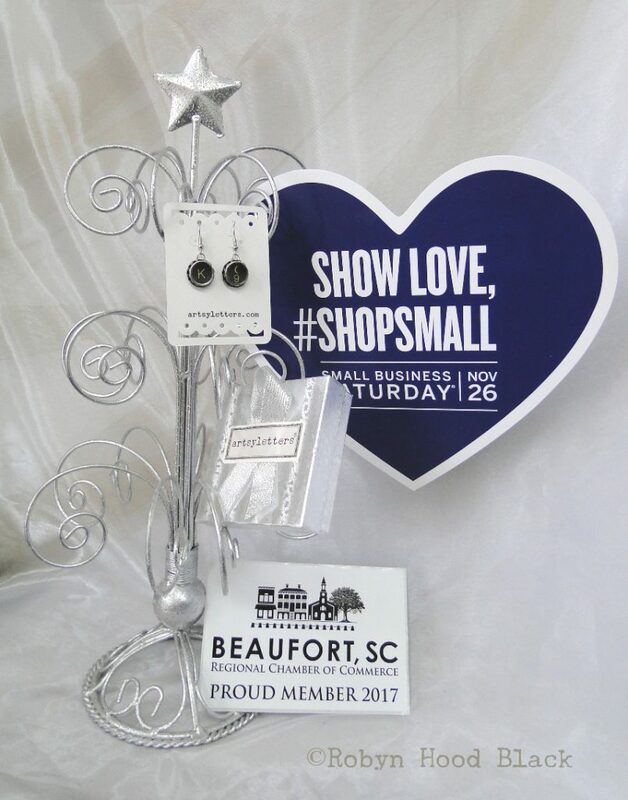 I’ve just officially joined the Beaufort Regional Chamber of Commerce (Woo-hoo!) and look forward to celebrating SMALL BUSINESS SATURDAY with an open studio from 10 a.m. to 4 p.m. Saturday. 811 Bay Street, Suite # 3 – above Modern Jewelers. Head up the stairs and to the right! Special activities downtown will help inspire your holiday hunting. At this time of year, I’m sincerely thankful to my wonderful customers & friends for your patronage and encouragement. You inspire me and keep me wishing I had even more hours in the studio to create, create, create! Thank you, and Happy Thanksgiving Weekend! This entry was posted in Uncategorized and tagged artsy letters, artsyletters, artsyletters coupon, Black Friday, Cyber Monday. literary gifts, gifts for readers, gifts for writers, Small Business Saturday, writer gift by artsyletters. Bookmark the permalink.